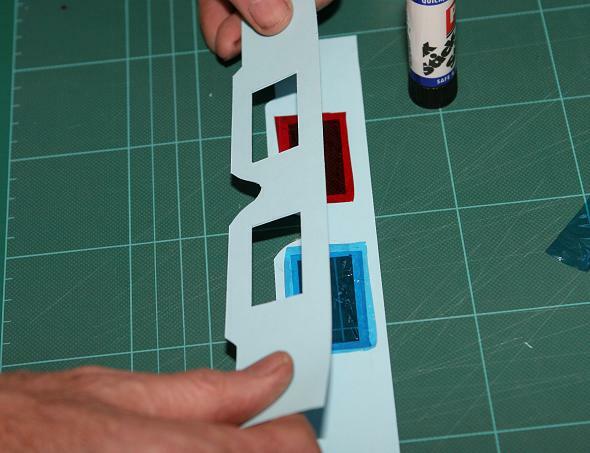 To make a pair of 3D glasses for 3D Anaglyphs you need some card, glue, knife, cutting board and the coloured cellophane; red and cyan. In the UK the closest coloured wrappers to red and cyan I have found are from Quality Street, the coconut eclair and the malt toffee. 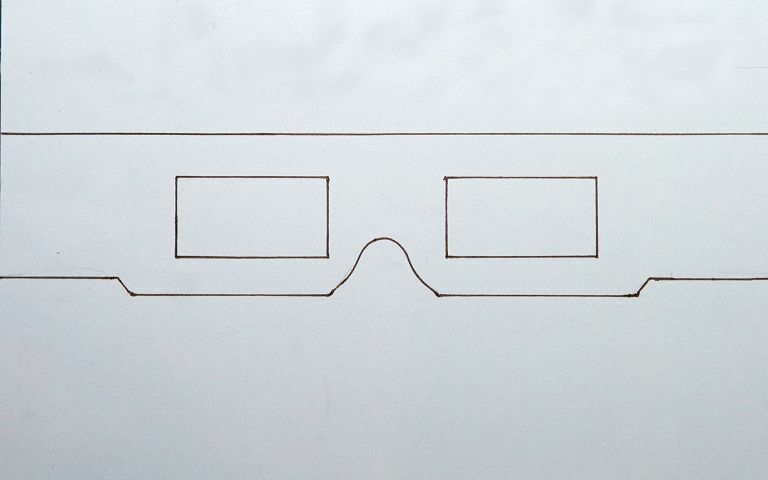 1) Draw a pair of glasses such as shown. 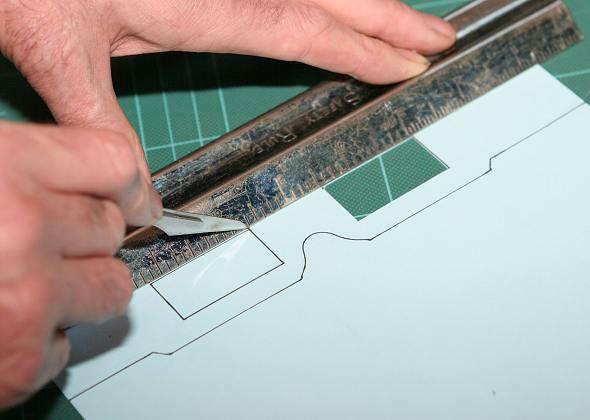 2) Cut the shape out, trace round it on some card and cut the second one out. 3) You should now have two glasses. 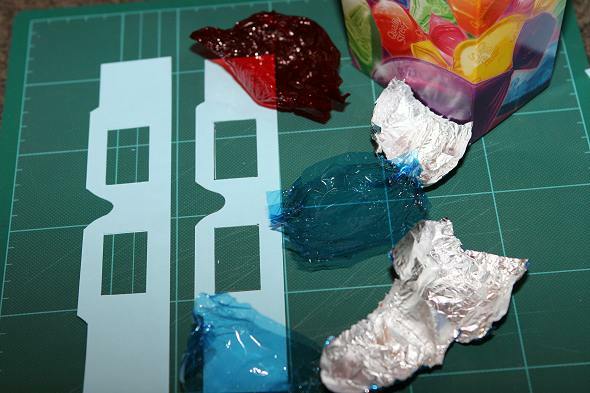 You will need 1 red sweet wrapper and 2 cyan (blue-green) wrappers as the colour is not strong enough on their own. You will find the cellophane is clearer at the centre, try to smooth out the wrinkles. 4) Glue around the edge of the frame. 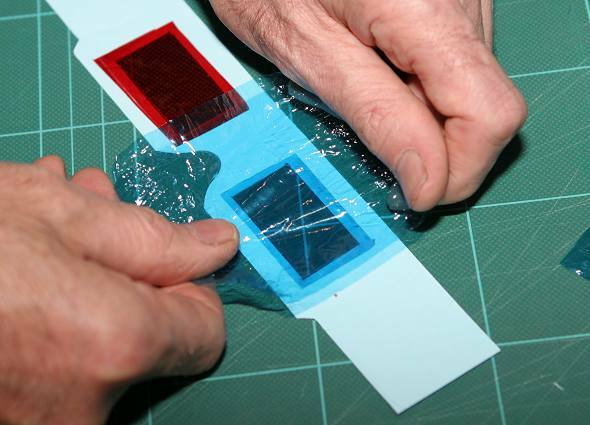 5) Carefully place the cellophane making sure the clear part is over the glasses, push firmly down on to the glue and then pull outwards with your fingers to get as many of the wrinkles out. 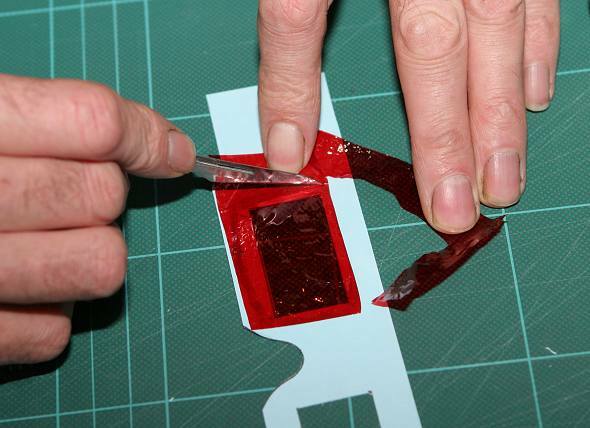 6) Trim the excess cellophane off careful not to cut into the card. 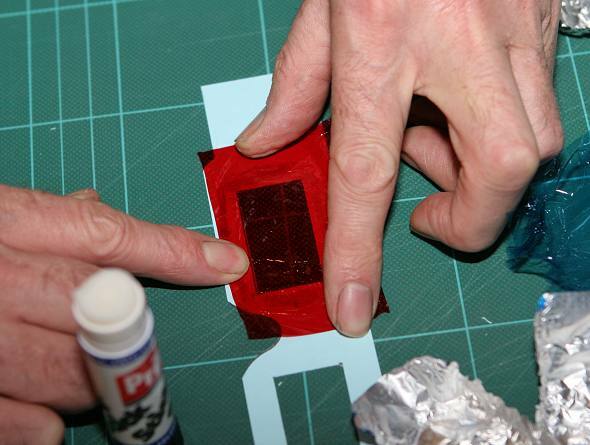 8) Place the second cellophane wrapper and get as many of the creases out as before. Trim the cellophane. 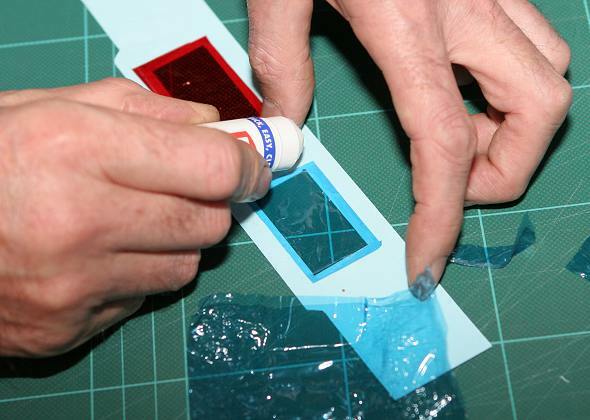 9) Glue around the card and place the second piece down and press firmly. 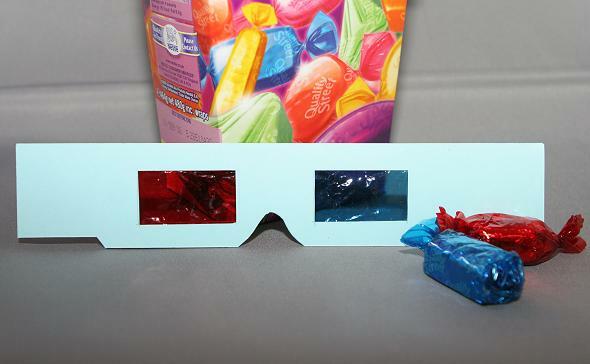 Let the glue dry and you should have your own pair of 3D anaglyph glasses.